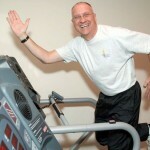 Exercises can keep you healthy and fit all through out your life journey. But at a certain stage human body loses strength, balance and also does not have enough stamina, for which it becomes tough to train yourselfs. At these sensitive stage, even a minor extra effort can lead you to trouble. No worries here are some of the very effective and safe exercises that will help you to stay fit and strong even at your peak age. Yoga is a commonly known generic term for physical, mental, and spiritual disciplines which which needs proper determinationa and discipline. This physical system of health exercises is very benificial for keeping yourself physically and mentally fit. There are many forms of yoga, which may not be easy for you to practise. General poster of yoga are generally recommended. Consult with a qualified trainer for better results. You can even referr some yoga books too. This is a very simple form of exercise, which no doubt needs enough stamina and determination. 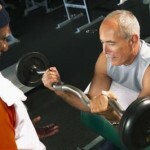 With the progress of age, very heavy strength exercises are not possible. So, this exercise is higly recommended for total body fitness. Walking or hiking in a open natural sorrounding highly reduces strees. Walking and Hiking even offeres you with some additional benifites like healthy heart, reduces diabetes and increases your endurance level. If you have enough strengh and feel walking or hiking is no more interesting or feel you can train yourself bit much tougher, go for biking. Biking is a very effective exercise for legs and glutes, providing the chance to burn the extra fat deposited on the thighs. Visit a local bike shop get the one suitable to you. Seniors with knee problems are not recommended to practise this exercise. Swimming, one of the favorite sport can be a better exercise for seniors with swimming experience. This is an ultimate exercise which effects your whole body, especially the arms, legs and glutes. Swimming is a great low-impact option for those with joint pain and an excellent training program for those with chronic back problems. 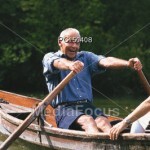 Rowing, one of the interesting water sport can be a perfect exercise for seniors for training their upper body. This exercise helps in building core stability. You can rent a boat from any rental shop and enjoy exercise session. But if you can’t find a traditional rowing craft, consider trying your hand at kayaking. Though kayaking doesn’t work with the same pivot leverage and engage the quads, still will offers a great workout or you can practise this at any rowing machine, applying some light weight. If you don’t time to go out for a walk, biking, too cold to swim or rowing, train youself inside the luxury of your house with exercise machine like treadmill, elliptical or an exercise bike. This equipments keeps generally have enough motivational features to charge you up and get the maximum out of it. Select lower intensity. Though age always is a barrier in performing weight training, still you can choose several weight exercises that will help you to stay fit. Try to maintain a well designed strength training routine and follow full body workouts and always choose light weights. Remember never apply extra effort.